A friend of mine once told me that I should go into sales because I was telling them about my favorite photo book vendor and I apparently did a really good job convincing them that the product was legit. When I find something I love, I'm usually quick to spread the word. 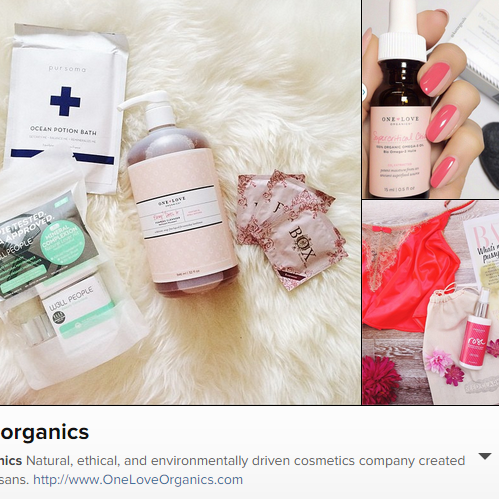 What better place to share my beauty faves than on my blog! Alright, here is this month's starting lineup. If you haven't already noticed, our little back porch has become the perfect spot for my blogging photography. Also, the midday sun that I get to take advantage of since I'm not working is really working for me too. Organix Shampoo & Conditioner >>> I love trying out different shampoos/conditioners. I used to gravitate towards the expensive "salon" brand stuff until unemployment struck. While that stuff really does an awesome job, I've found the Organix brand makes some pretty quailty products too. 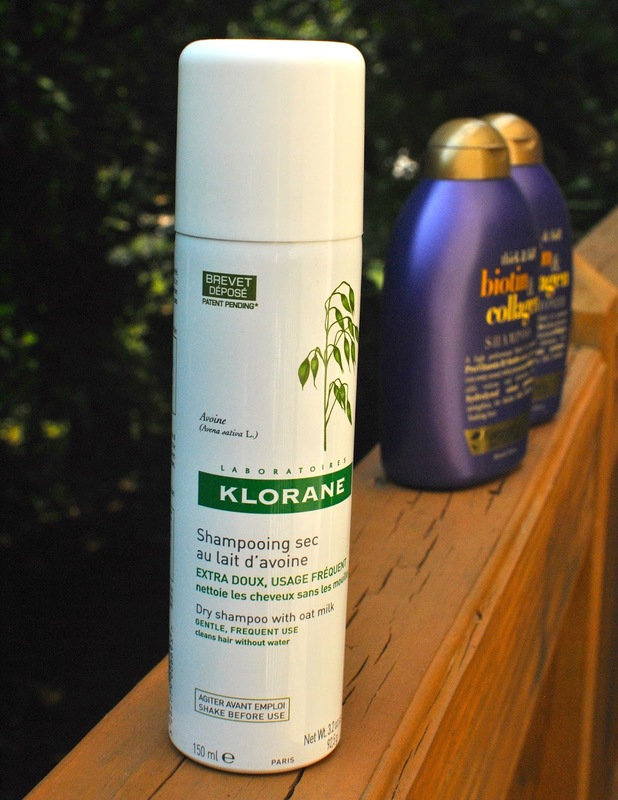 At first, I was using the Nourishing Coconut Milk Shampoo and Hydrating Macadamia Oil Conditioner. In truth, this is just because that's basically all my Target had at the time. I recently pick up the "Thick & Full" line and I'm really liking it. I think it gives my hair a little more grit and texture which it needs. I have a lot of hair but it's very fine so it quickly goes limp if I don't give it some love. I've also been using the Sea Salt Spray for summer, beachy waves (love it, no crunch) and the Coconut Oil Mist which I spray on my super dry ends. I think it's a quality line with tons of great options and everything is under $10! 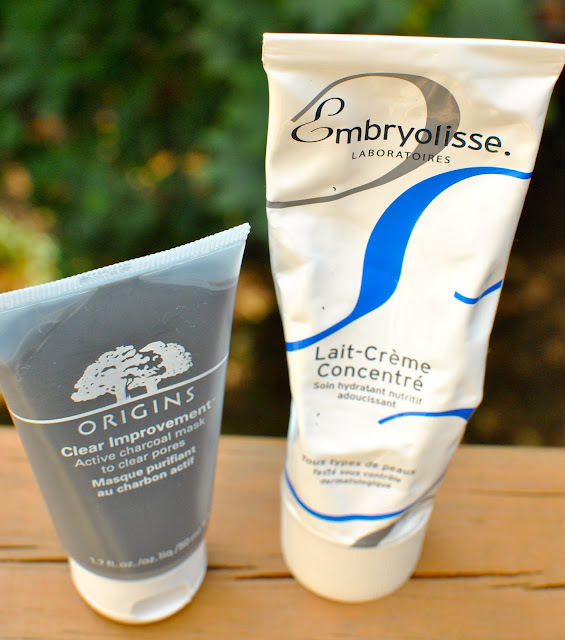 Embryolisse Lait-Crème Concentré >>> This was another Birchbox find. 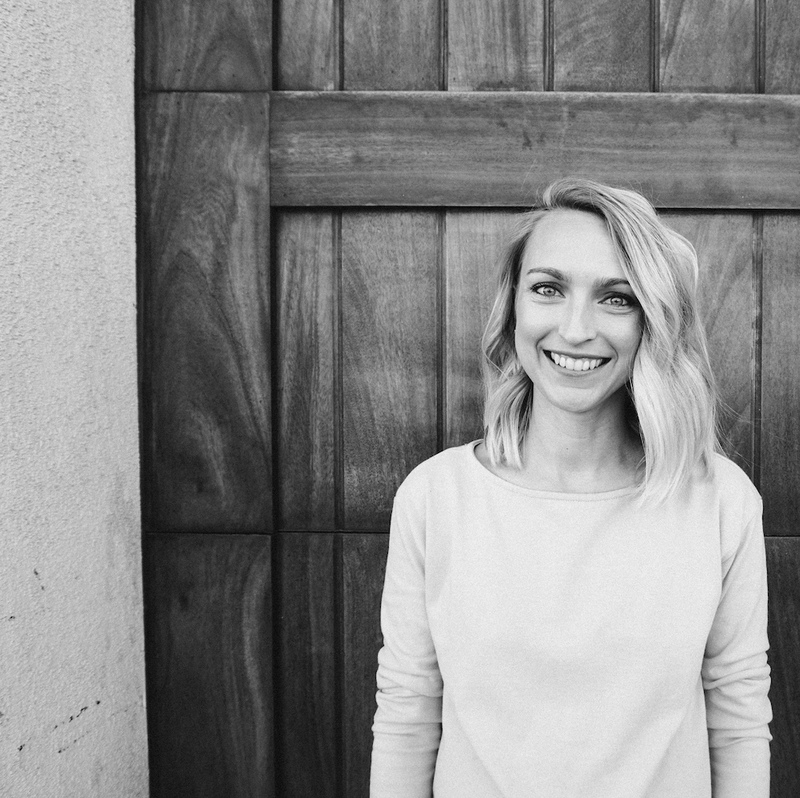 I have combination skin that typically gives me all sorts of problems (I wrote a few posts about it here, here and here). When we were traveling in Europe, I realized my skin was really dry (something that never happens) and nothing was hydrating it. When I got home, I remembered about this sample and gave it a try for a week. It soaked in quickly without feeling greasy and kept my skin hydrated day or night. In the summer, I only use it at night because my tinted moisturizer is enough for day time. Seriously, it's a great deal too because for $28 you get a huge tube of it. This will probably last me a total of 6 months at least. Origins Clear Improvement Charcoal Mask >>> I'd been hearing people rave about this stuff for awhile. I'm not a huge believer in masks but after we returned from the honeymoon, my skin was rebelling against me. I decided to give it a try knowing I'd just return it if I didn't like the results. (Tip: MANY beauty stores including Ulta, Nordstrom, Macy's...will let you return a partially used product. Don't be afraid to return something you used twice and hate!) I slathered it on that evening and loved the effect. It really feels like it's working when it's on your skin. The charcoal is supposed to pull the impurities out of your face. It dries in about 10 minutes and then you just wash it off. My skin felt so smooth and looked so even! I've been using it once a week and really loving the effects. You can get the trial size (show above) for $16. Benefit Watt's Up! >>> I feel like I'm a little late to the party with this stuff but whatever. I never really understood how to use highlighter until this summer. I've been using this Tarte blush that I love precisely because it isn't shimmery, it's just color. However, I can sometimes make my face look a little flat. So I dug through my makeup bin and rediscovered this highlighter my mom got me for Christmas. After a quick google search for how to use it, I was hooked. I put a swipe down my nose and then glide a little over the tops of my cheekbones. It makes my skin glow without being glittery. New staple! Next on my list to try is this stuff. I've been really into lipsticks for a little while now. Gloss is usually much too sticky and shiny for me. It also rarely lasts on my lips longer than 10 minutes and it always gets stuck in my hair. Ugh. However, lipstick is fantastic. If you find a good formula, the staying power is awesome. Right now, I'm loving the neutrals. I wore this NARS Pure Matte lipstick in Bangkok for the wedding...and almost everyday since. The color basically matches my natural lip color but makes me look more put together. My other favorite right now is this Bobbi Brown lipstick in Blondie Pink. I ordered it online (not usually something I would recommend) and was totally confused when I opened the tube. The image online looked more pale pink and the tube color looked almost brown. But alas, it ended up looking great on my lips and totally works as a daily neutral. How do you feel about wearing lipstick? I used to think it was just for moms but I'm really starting to love it. I'm really loving this one for fun summer nights out.